Wilson Plaza is a 21 story tower located in uptown Corpus Christi, Texas. As the oldest property located on the bluff, Wilson Plaza has remarkable historic significance within the community. 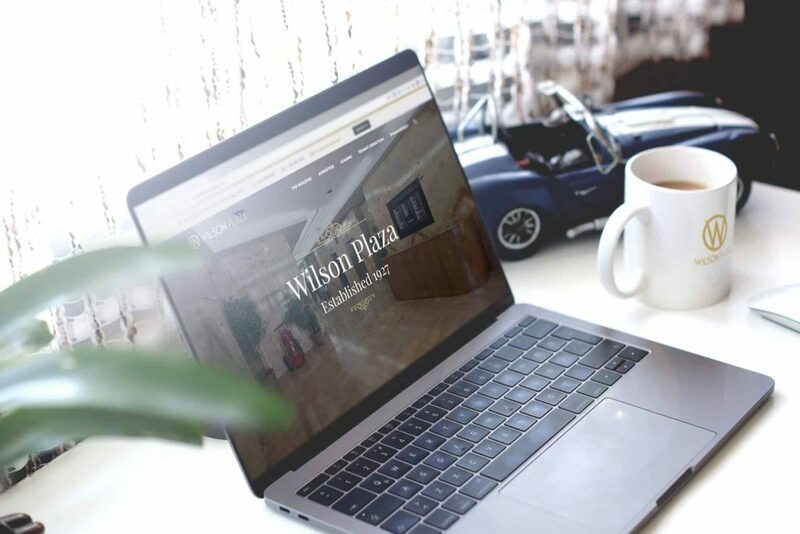 We made capturing the importance of the building a focal piece for our overhaul of the property’s website design. Website features include responsive design, custom photography, aerial photography, branding, and Google Analytics integration. As the most versatile creative agency in the Coastal Bend, we are proud to offer our clients comprehensive services in the avenues of print and television advertising campaigns, illustration, website design, graphic design, branding and corporate identity and content strategy and marketing. Reach out to us and find out more about what we can do for you.